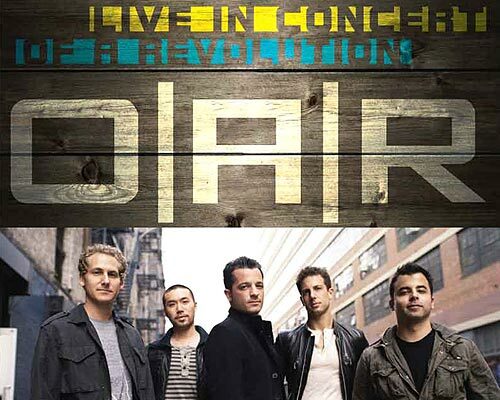 O.A.R.’s latest album, King, features “Gotta Be Wrong Sometimes” and “Heaven”. O.A.R. is an American rock band composed of Marc Roberge (vocals, guitar), Chris Culos (drums, percussion), Richard On (lead guitar, backing vocals), Benj Gershman (bass guitar), and Jerry DePizzo (saxophone, guitar, percussion, backing vocals). Due to massive online distribution over campus networks, the band has become a hit among college students, with many songs relating to the band members’ personal lives at Thomas S. Wootton High School, growing up in Rockville, Maryland and attending The Ohio State University.